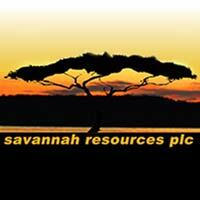 Savannah Resources plc (LON:SAV), the AIM quoted resource development company, has today announced further encouraging results from the ongoing reverse circulation and diamond drill programme at the Mina do Barroso Lithium Project, located in Portugal. A total of 192 holes for 16,222m have now been drilled to date across three primary targets of Grandao, Reservatorio and NOA. Savannah Resources Plc CEO, David Archer said: “The drill programme continues to produce outstanding results both in terms of widths and lithium grades. Zones in the main Grandao Deposit are thickening and drilling is also extending the deposit down dip, giving us confidence of the potential to increase the Project’s Mineral Resource Estimate. A total of 142 RC and DD drill holes for 1,1935m have been completed and results for drill holes 18GRARC104-106, 18GRADD001-006, and diamond tails on 18GRARC076, 080-081 have now been received and returned further encouraging results (Tables 1 and Figure 2-3). Drilling targeting the down dip extensions of Grandao Extended has met with significant success, identifying a further down dip extension of the known mineralisation in the order of 100m and other expansions to the areas of known mineralisation. Drilling has now confirmed that the orebody continues for at least 600m down dip and importantly the ore body remains open down dip with further expansions likely as the drilling programme continues.